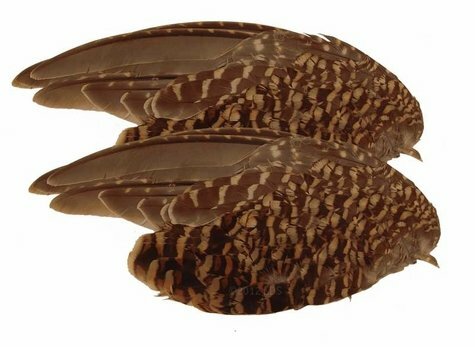 Sharptail Grouse Wings -- 2 Pack. $4.99. "Gun Dog Supply is Awesome Incomparable Service!" Gun Dog Supply is Awesome Incomparable Service!!!! Excellent quality and fast shipper! As advertised. When my pup is able to get ahold of them, they stand up to the abuse. Very reasonable price. They look great, but have not used them yet due to weather and very young 2 month old puppy. Great for training. Keep sessions short and sweet. The pup has a high interest in them. Temporarily sold out. Expected to be back in stock by Fall, 2019.